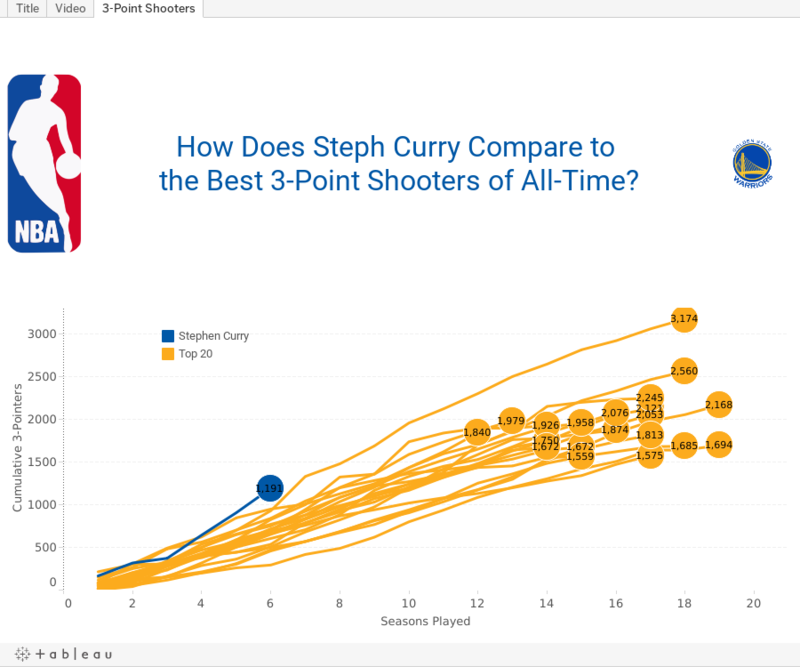 In this week’s tip, I review how to align measures that start at different time periods in order to understand how Stephen Curry compares to the greatest NBA 3-point shooters of all-time. In order to do that, I need to create a table calculation to align the seasons each player played. Click on the video tab to see how I built this. 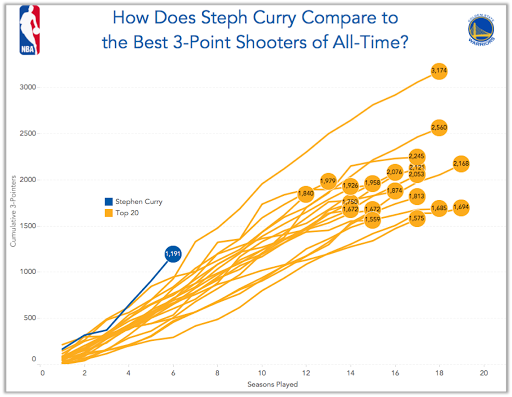 SPOILER: At this point in his career, Curry is far and away the best 3-point shooter of all time.